Fire Emblem Heroes is finally out in North America and fans are scrambling to get their waifu... I mean see how the game plays. 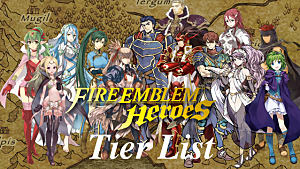 There is a lot to know when you start playing, especially if you have never played a Fire Emblem game before. Battle Basics - How fighting works in Fire Emblem Heroes. Quests and Missions - What these are and what they give. Party and Character Customization - What you can do to make your party and individual characters stronger. Shop - What you can get from here. My Nintendo - The rewards and how you get them. 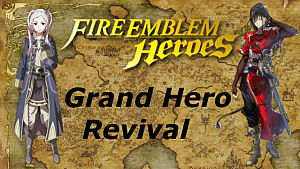 Fire Emblem Heroes is a tactics role playing game that uses a Rock-Paper-Scissors battle system. When in combat, each side takes turns to act. During your turn, you can move your units around the map, use support skills, or attack if you are within range. 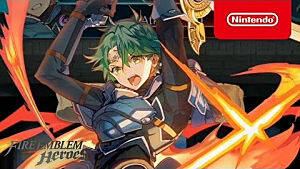 Blue areas are where you can move, Red is where you can attack, and Green is who you can use Support skills on. You can also select Danger Area at the bottom of the screen to see if your character is within enemy attack range. There are multiple weapon types and they all have 1 of 3 colors: Blue, Green, or Red. Using a weapon color that is strong against another will cause you to deal more damage. If you use it against one you are weaker to, you deal less damage. There is also a Colorless, with is neutral to all weapons. These are challenges you can complete to get items like leveling crystals and and orbs used to summon new characters. You unlock this after clearing Chapter 1 and more Stratums as you continue through the story. This allows you get more experience than other maps and crystals depending on which day of the week it is when you do it. 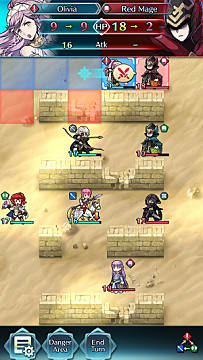 You can fight other players' parties in the Arena. Winning will increase your score based on how strong your opponent is. You will get feathers to unlock potential of your characters at the end of the season. The amount you get depends on your score at the end of the season. You can have up to 4 characters in a party and 5 different preset parties. The character farthest left will be your Leader. HP - Health of unit. It dies when this reaches 0. Atk - This affects how much damage the character deals. Spd - This allows the character to attack twice if its Spd is at least 5 more than the target. Def - This affects how much damage the character takes from physical attacks. Res - This affects how much damage the character takes from magical attack. Each skill a character can learn is either an A, B, or C skill. You can equip 1 of each type. Support skills are skills you can use on allies and have a shield symbol. Trigger skills are those that activate after a certain number of actions in combat. When a specific character defeats someone in combat, they get experience. If they get enough experience, they level up and increase stats. They also get SP which can be used to buy more skills. You can use crystals to level up your characters faster, which you can get in various ways by playing. Once they get to level 20, you can unlock their potential. This allows their Star Rating to go up by 1 level. The higher the Star Rating, the better their stats. There are also skills you can only learn at certain ratings. 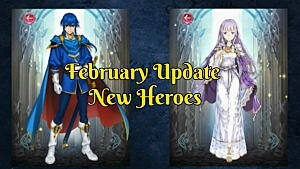 You can also merge 2 of the same character to increase SP and potentially increase stats. Orbs can be earned from the story and quests, or bought with real money. These Orbs are used to give you more characters. You can upgrade the castle by using orbs. This allows you to gain more experience and is permanent. You can continue upgrading to gain more boosts, but it also costs more Orbs. 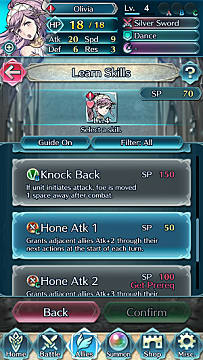 You can expand the Barracks as well by spending Orbs, which increases the number of characters you can hold at once. You can link your Nintendo account to Fire Emblem Heroes to unlock extra rewards, just like Super Mario Run. If you don't already have an account you can create one on the My Nintendo website. When you log in and link the account, you can redeem points when completing portions of the game. These points can be spent on buying leveling crystals, Light's Blessing (to revive if you die), Stamina Potions, and dueling crests to recover dueling chances. 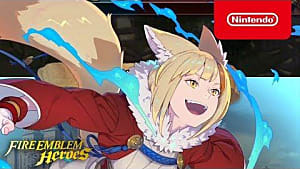 You can also redeem 10 free Orbs. That's everything you need to get started in Fire Emblem Heroes. Let me know if you have any questions!